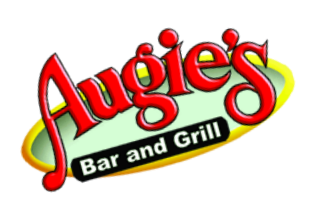 We pride ourselves on making sure you have the very best time possible while you're at Augie's. Thanks for checking us out. WE HAVE A GREAT REWARDS PROGRAM. CLICK ON THE REWARDS CARD TO THE RIGHT AND REGISTER YOUR NEW CARD OR CHECK ON YOUR POINT TOTAL. DON'T HAVE A CARD? 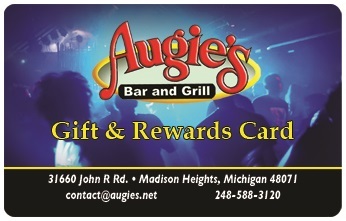 ASK YOUR SERVER OR BARTENDER FOR A CARD TODAY!